Containers have fundamentally changed the way developers develop their applications, the way applications are deployed, and the way system administrators manage their environments. Containers offer a broadly accepted and open standard, enabling simple portability between platforms and between clouds. 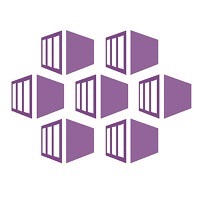 The very first service of its kind in the cloud, Azure Container Instances (ACI) is a new Azure service delivering containers with great simplicity and speed and without any Virtual Machine infrastructure to manage. 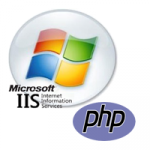 ACIs are the fastest and easiest way to run a container in the cloud. An Azure Container Instance is a single container that starts in seconds and is billed by the second. ACI offer highly versatile sizing, allowing you to select the exact amount of memory separate from the exact count of vCPUs, so your application perfectly fits on the infrastructure. 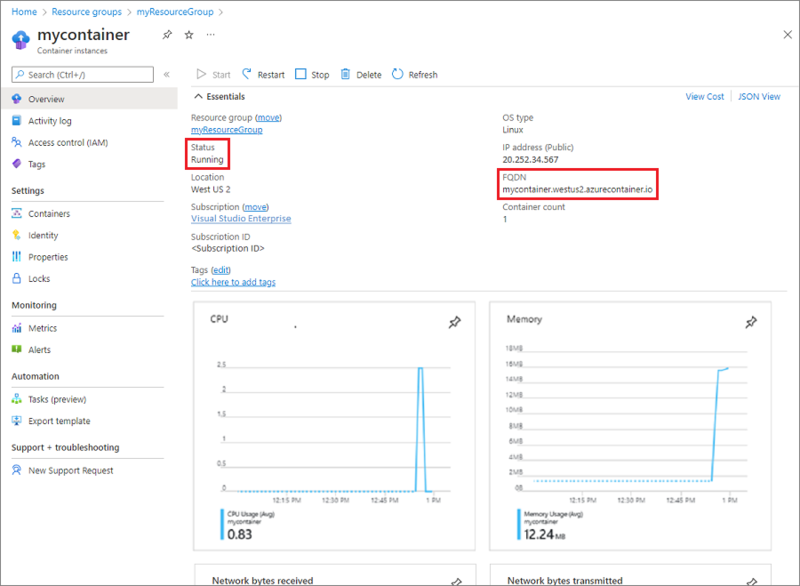 With ACI, containers are a first-class object of the Azure platform, offering Role-Based Access Control (RBAC) on the instance and billing tags to track usage at the individual container level. As the service directly exposes containers, there is no VM management you need to think about or higher-level cluster orchestration concepts to learn. It is simply your code, in a container, running in the cloud. Cognosys is the largest publisher on Azure , AWS and GCP Marketplace which specializes in provisioning Hardened, Ready to Use Images for enterprise customers so that they save on a large amount of time and hence gain from low total cost of ownership. 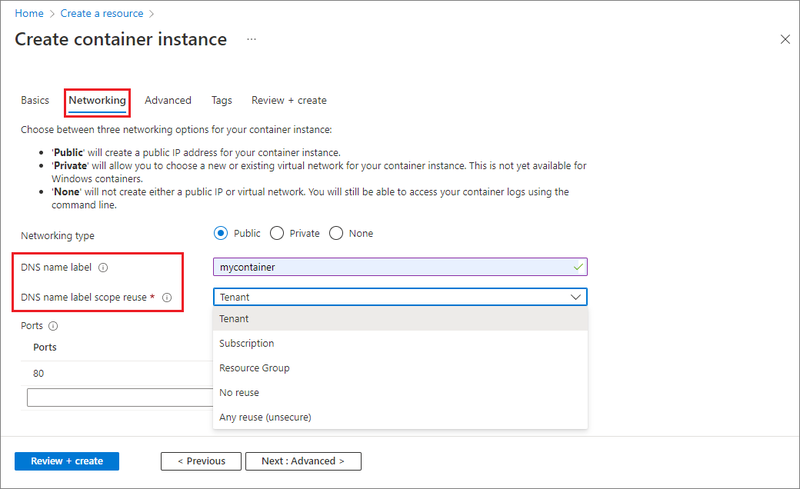 Please take a tour through the process of deploying an application as an Azure Container Instance using SecureAnyCloud container. Step 2) Enter the following values in the Container name, Container image, and Resource group text boxes. Leave the other values at their defaults, then select OK. 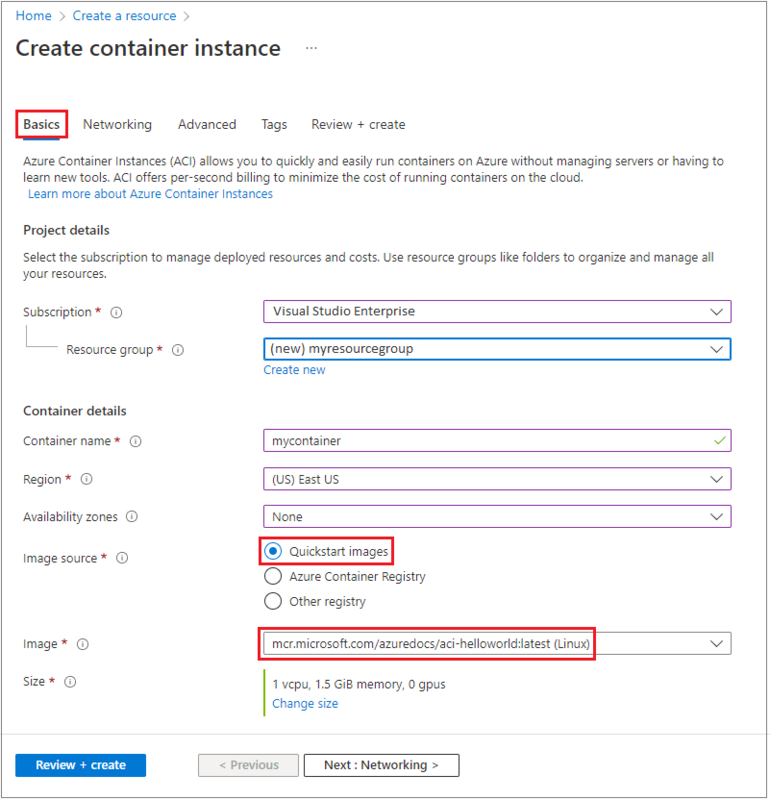 Step 3) You can create both Windows and Linux containers in Azure Container Instances. 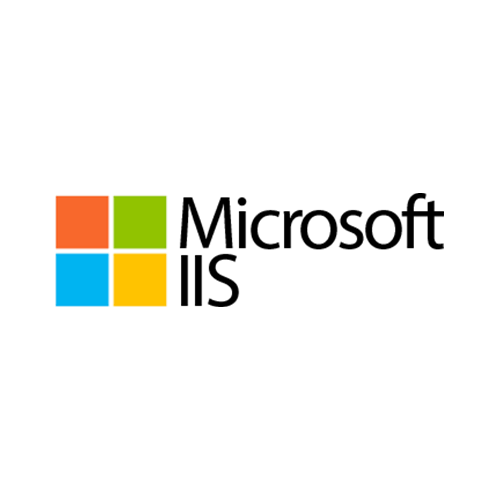 For this quickstart, leave the default setting of Linux to deploy the Linux-based microsoft/aci-helloworld image. Step 4) Under Configuration, specify a DNS name label for your container. 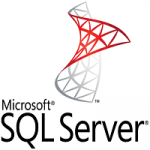 The name must be unique within the Azure region you create the container instance. 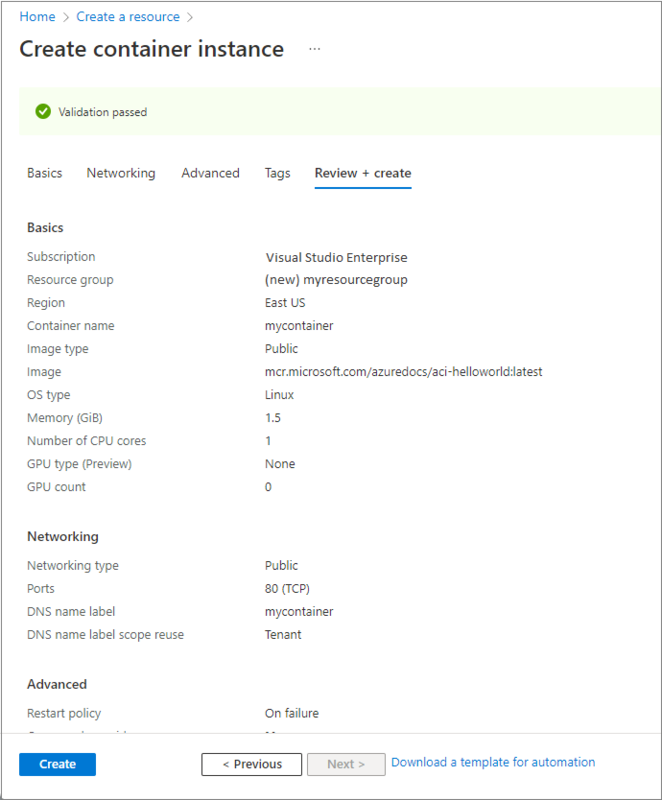 Your container will be publicly reachable at <dns-name-label>.<region>.azurecontainer.io. Leave the other settings in Configuration at their defaults, then select OK to validate the configuration. Step 5) When the validation completes, you’re shown a summary of the container’s settings. Select OK to submit your container deployment request. Step 6) When deployment starts, a notification appears indicating the deployment is in progress. Another notification is displayed when the container group has been deployed. Step 7) Open the overview for the container group by navigating to Resource Groups > myResourceGroup> mycontainer. Take note of the FQDN (the fully qualified domain name) of the container instance, as well its Status. Once its Status is Running, navigate to the container’s FQDN in your browser.